Dimensions: Overall Height: 12.81"; Spout Height: 8.56"; Spout Reach: 6"
The tall style of this faucet accommodates any use in the bathroom. 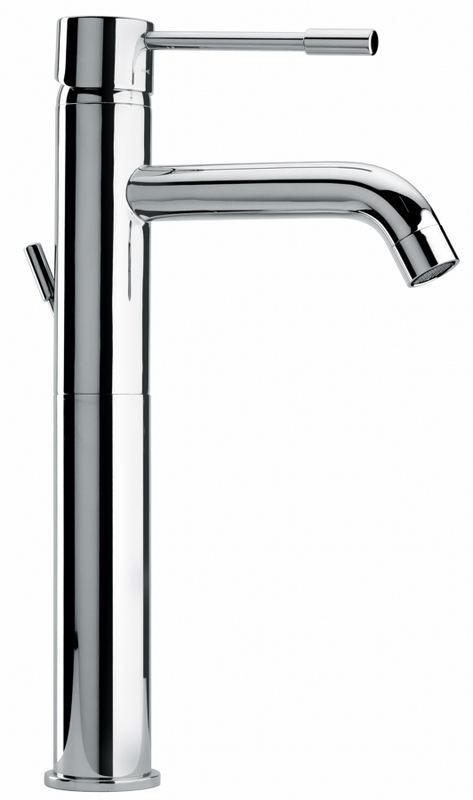 The single lever handle controls the water flow and temperature with ease. Shown in a silver chrome finish, this model is available in a wide range of other color choices, including antique black and polished brass.